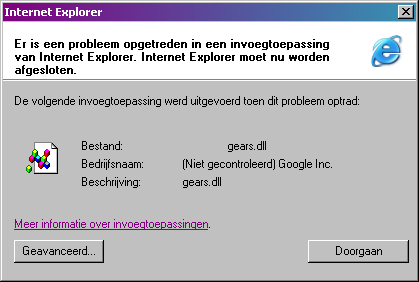 Yesterday, when I published my blog entry on the Google Gears database service, I made the terrible mistake of not testing my Google Gears Query Tool in Internet Explorer. And then the browser crashes. I already reported it, so if you have any more information regarding this bu, please add to that thread to share your observations. I also added a new feature. You can now view the query plan for your queries by hitting the "Explain" button. This will only work for SELECT statements, and you will see an error message otherwise. Explain is implemented simply by executing the current statement text in the textarea, prepended by the string "EXPLAIN ". The resultset of this is then rendered just like any normal resultset. Nice tool. Are you planning to extend it? There are still a few problems with this version but it currently works pretty well on firefox. "But what about your plans on future? Could it became something more than simple demo? ;)"